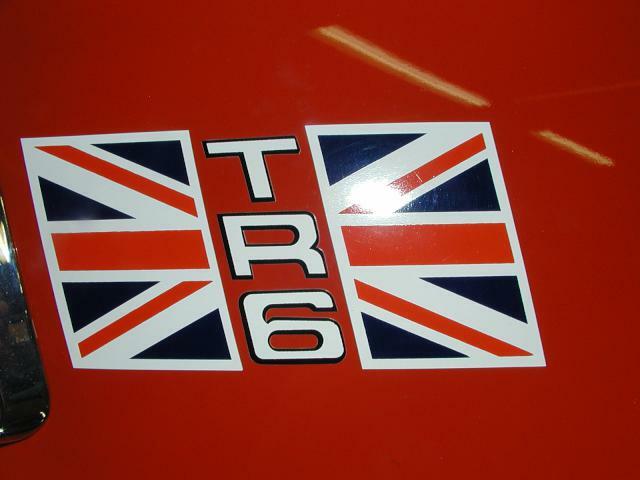 When considering a TR6 for purchase, looking carefully at the items listed on the following checklist will quickly sort out a good candidate from a bad one. With a cursory 10 minute scrutiny, one should be able to quickly detect most of the items that would lead to huge repair costs down the road. 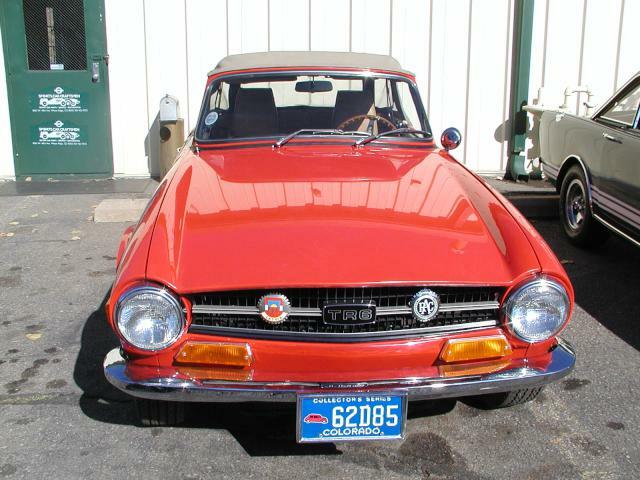 This list does not hunt down the relatively minor faults that might be expected of any 40 year old used car, but rather identify basic structural issues that could turn a ill-advised purchase into a looming disaster. Here, then, is a quick top 10 check list of things to look for. 7. Look carefully at the seams between the body panels. The four fenders should join their related scuttle, tonneau and front and rear panels with a clean, seamsealed groove. The fenders should join the rocker panels below the chrome strip in a perfectly flush fashion, with the rear fender attached to the rocker with a small dot of brazing to enforce that flushness. The joint lines frequently disappear with shoddy rust repair methods. $$$$-??? 8. From the front of the car, sight down the gap between the hood and fender, and continue sighting that line down the top of the door and down the rear fender joint. This line should reveal a gentle, consistent bulge in the middle with each side being a perfect mirror image of the other. A lack of uniformity reveals some sort of serious incident in the car’s past, which also demands further investigation. Inspect the upper fender swage line. The width should be uniform down the entire length of the car, tapering to zero at the end of each fender. Lack of uniformity only belies bad bodywork, but it may be an indicator of what lies underneath. $$-??? 9. 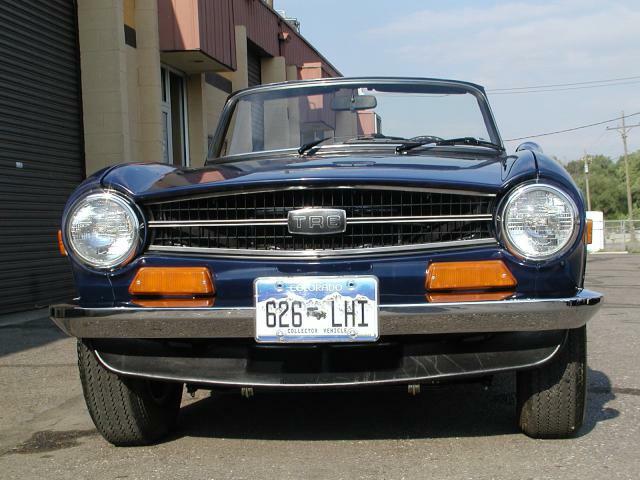 Inspect the corners of the fenders; TR6 have numerous build in rust traps that, if revealed on the outer panels, most likely indicate similar damage to the related inner panels. Look in the pockets above and around the headlamps and below the chrome line at the rear of the front fenders. The rear fenders are particularly vulnerable above the tail lamps and along the edges at the top and front of those panels. $$-?? 10. With the car on the ground, notice the gaps at the front and back of the doors relative to the adjacent fenders. The front gap should have a consistent width; the rear almost never does with an original frame. If that rear gap is twice as wide at the top as the bottom, it’s normal and only visual annoying. If the top gap is triple the lower width, the car’s mileage is most likely well into six digits, regardless of what the odometer says. $$-? ?